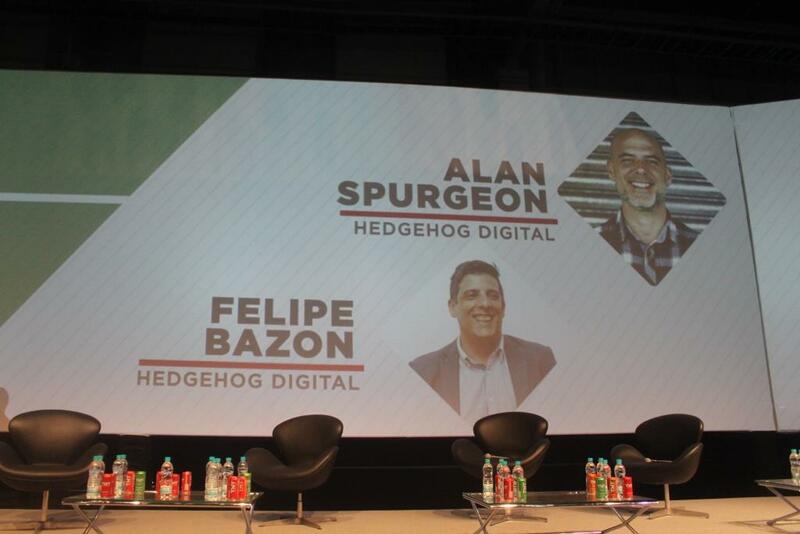 St Erth-based marketing agency Hedgehog presented at a global digital marketing event this week in Brazil. The Expo Digitalks Forum in Sao Paulo had over 4,000 participants and included speakers from Google, IBM and Coca Cola. With support from the Department of International Trade, Hedgehog is exporting its services to Brazil with clients ranging from Brazilian football clubs to a national toy chain. Hedgehog founder Alan Spurgeon, along with digital marketing and search engine expert Felipe Bazon, presented a keynote speech on the importance of search engine marketing.